In addition to our Communities in Bloom Ontario fully judged program, we are pleased to continue to offer the Communities in Bloom - Membership program. Full CIB Ontario Program Communities that look successful are more likely to be successful, on many levels. People and businesses want to be associated with a successful looking community, which is particularity important with respect to potential new residents, investors, visitors, developers, realtors and others. This community capacity building program is for those who aspire to excel in the CiB Ontario program and advance to the National and International CIB Program. Registrations for Communities in Bloom Ontario are categorized according to community. During July and August, on an agreed date, two Communities in Bloom Ontario judges evaluate each participating community on the accomplishments of the whole team - municipal, private, corporate and institutional. Communities will be awarded a "trillium" rating along with a comprehensive Report. Membership Program - This program is ideal for communities who would like a membership to enjoy all the benefits of the Communities in Bloom (CIB-O) program in a membership capacity to help in your efforts to "maintain" CIB Ontario standards with ongoing membership, continued support or network through CIB Ontario to keep up to date on current trends or practices without being evaluated. Your community initiatives will be showcased in newsletters, on the website and at the Provincial Awards ceremony to be held in the Fall of that year. Participants will receive a membership certificate. Encourages Tidiness & Beautification in Residential & Business Areas. Local business recognition through partnership/sponsorship of local initiatives (i.e. 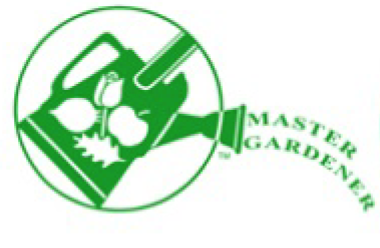 Garden Centres). Showcases and Promotes Community Spirit, Innovative Ideas & Environmental Sustainability. Exposure of outstanding projects on the CIB Provincial and National websites and/or newsletters. Participating in this program may assist the group in acquiring municipal funding and/or grants for their projects. You will have use of the Communities in Bloom logo and will be listed as a member of CIB on both the provincial and national websites. Allows the community to "maintain" Communities in Bloom Ontario standards with ongoing membership, continued support and networking through CIB-O to keep up to date on current trends and practices. Low cost program which helps to recognize your valuable volunteers. The visit of the judges is a professional consultation of two professionals for two days that generates a detailed written report in the form of the CIB Grid distributed at the Awards in the fall. So find a champion and get the Council on board.